Choose Free Hands. These hands are recommended for the product above. Here’s a great new quartz movement. It tells normal, everyday 12 hour time, plus the day of the week! 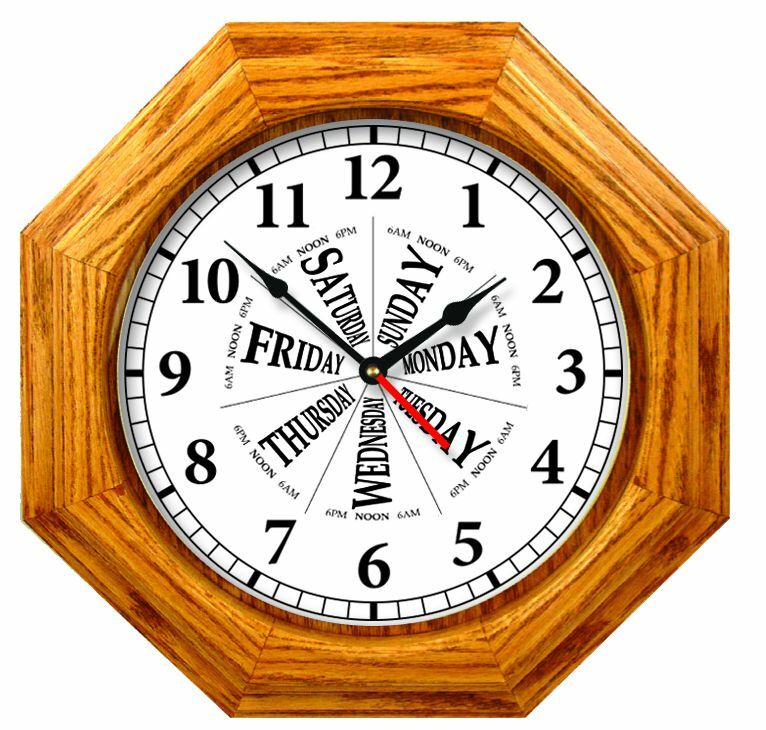 Perfect for those “senior moments” or other functions where knowing the time and day of the week is important. My 86 year old mother just loves it. Others will as well. We also offer our new custom designed 6” and 11-1/8” time and day of the week white styrene clock dials as well. The possibilities for this new type of movement are endless. The compact movement operates on 1 AA battery (not included), and has a 7/16” Shaft diameter. The 3/16” high threaded shaft will work with dial materials up to 1/8” thick. 11/16” overall shaft length. Price includes a red Day Of The Week hand (which can be trimmed to a shorter length) and your choice of black hour and minute hands (which also can be trimmed to shorter lengths). Second hands are optional and linked at the bottom of this page. This movement also comes with a Red 2 1/16" Day of the Week Indicator Hand that you can trim as needed.